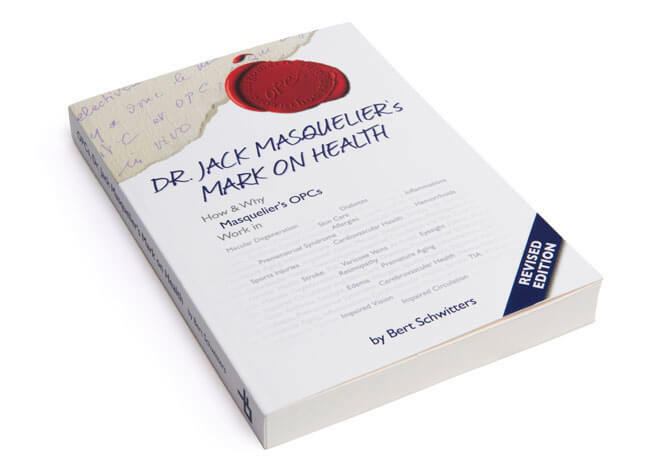 The “click” between your personal health and the work of the French scientist Jack Masquelier is marked “OPCs.” OPCs, Dr. Jack Masquelier’s Mark on Health is the book about that particular “click” that could change your life. It helps to see how OPCs can assist your body to successfully retain and restore its internal balance in the midst of today’s stress and overwhelming nutritional uncertainties. OPCs are high performance botanical nutrients that support many functions in the human body, primarily by keeping the circulatory system in good order. OPCs also work as antioxidants and they mitigate inflammatory responses. They help in keeping your collagen flexible and resilient. OPCs are as important as vitamins and other essential nutrients. OPCs, Dr. Jack Masquelier’s Mark on Health tells the true, first-hand story of OPCs. Masquelier’s genuine OPCs. It reveals how Jack Masquelier was the one who developed the method to extract OPCs from the bark of the French Maritime Pine. And, how he then found the way to make OPCs available from the seeds of the grapevine. The book is the result of 20 years of close and direct contact and cooperation with Masquelier. 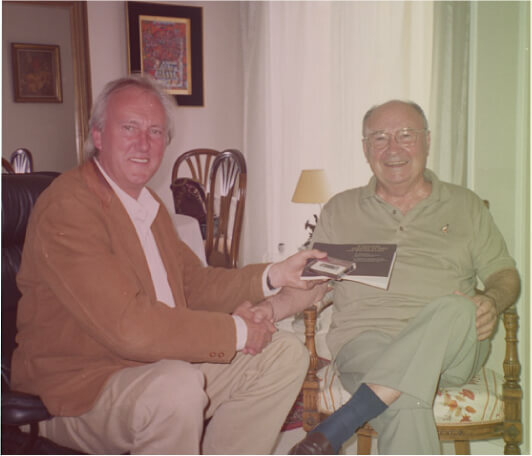 During many conversations and meetings, which took place between 1990, when I first met him, and 2009, when he passed away, Masquelier explained to me what makes OPCs so miraculously effective. Together, we also went through thick and thin to protect his scientific, intellectual and technical achievements and even his personal name and reputation against theft, imitation, abuse and adulteration. Today, food supplements presented as “OPCs” are all over the place. Even for the insider it is practically impossible to verify whether these products really contain OPCs, what kind of OPCs, and what other ingredients are also present in these products. It is impossible to verify whether an OPCs-product bought yesterday will contain the same OPCs tomorrow. Add to this the fact that most analytical methods fall short when it comes to detecting and identifying the individual fractions of OPCs. Moreover, it is practically impossible to establish whether health claims made for “OPCs”-supplements are truly based on competent and reliable scientific evidence produced in product-specific research. In the midst of this informational chaos, OPCs, Dr. Jack Masquelier’s Mark on Health is the beacon that guides the reader who is in search of facts. It provides the “click” between you, OPCs and the man who first isolated them.